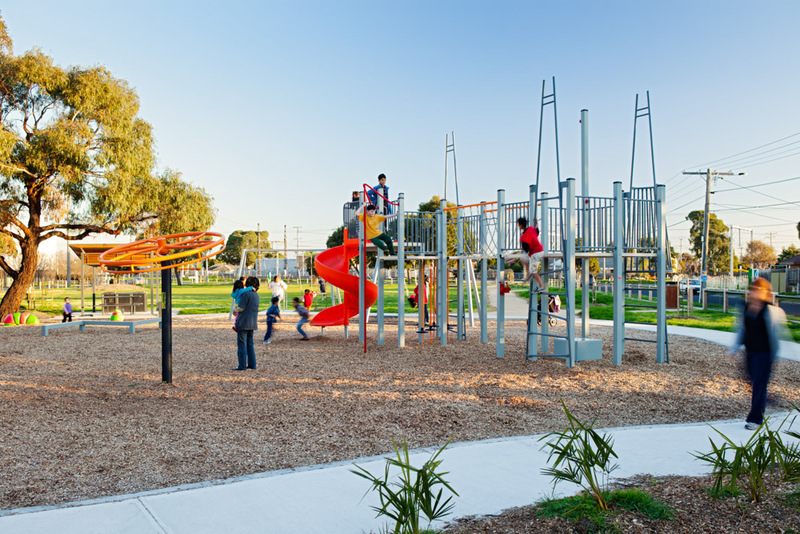 This award winning playground was designed for the City of Kingston by Urban Initiatives in 2011. 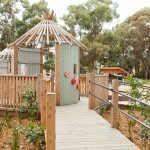 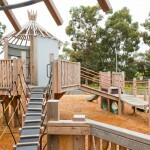 The tree house theme of the playspace is expressed in three raised timber houses that are linked by suspension bridges. 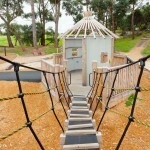 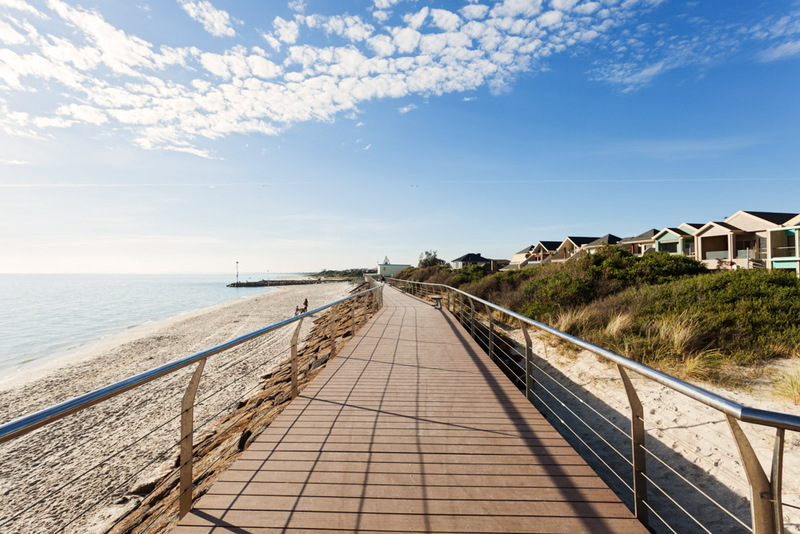 The bridges present varying degrees of challenge for the user. 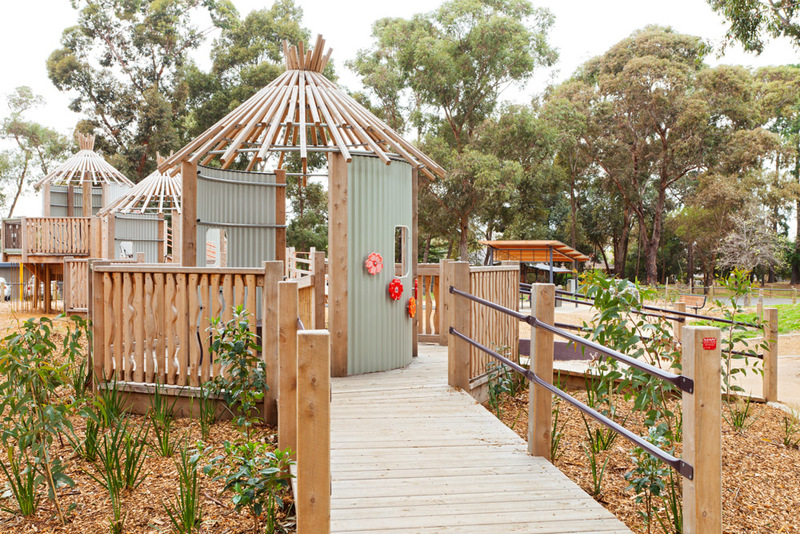 This accessible playground is entirely custom built and also features natural play elements such as a creek bed and sandpit. 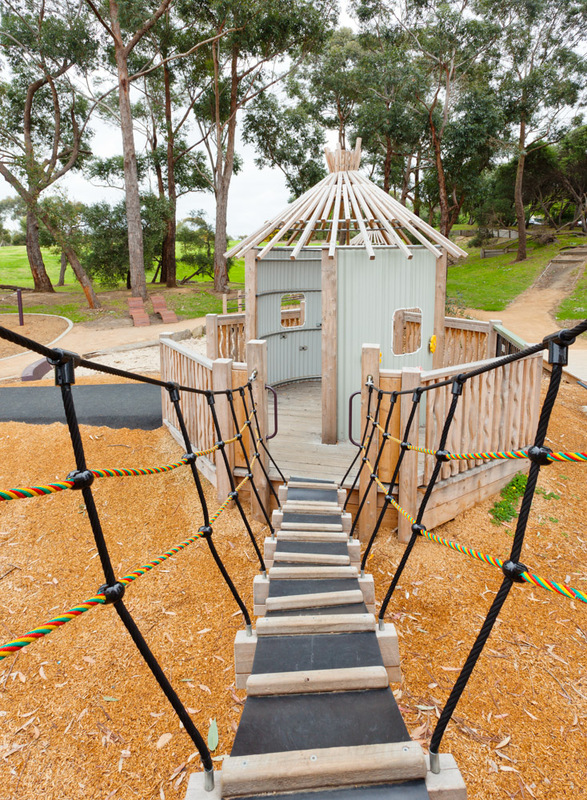 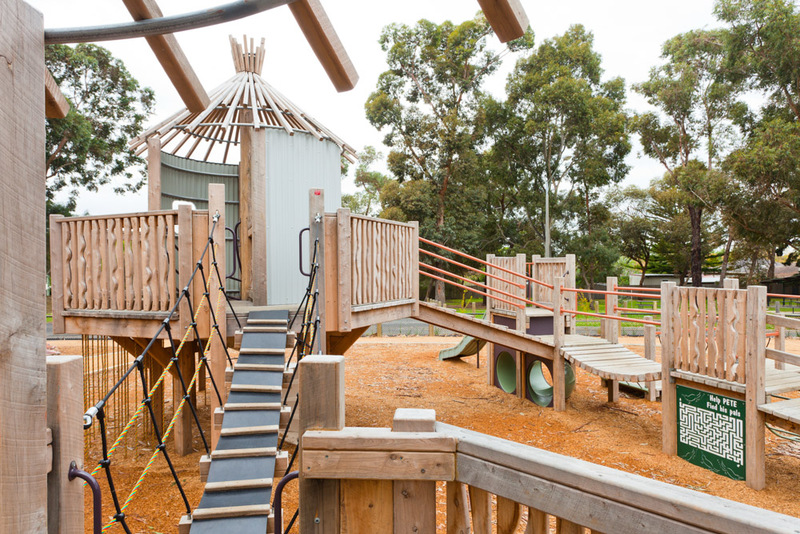 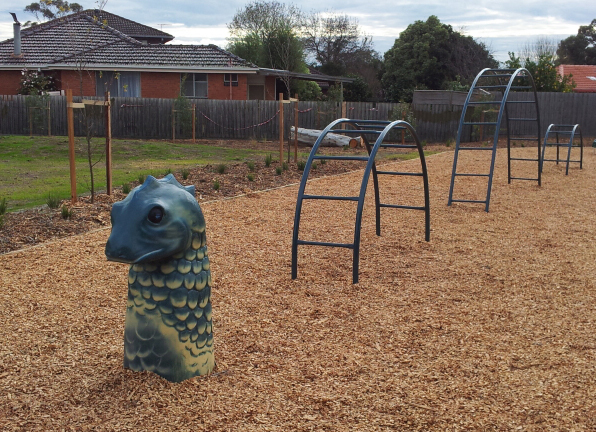 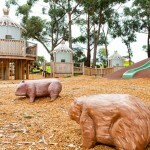 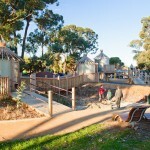 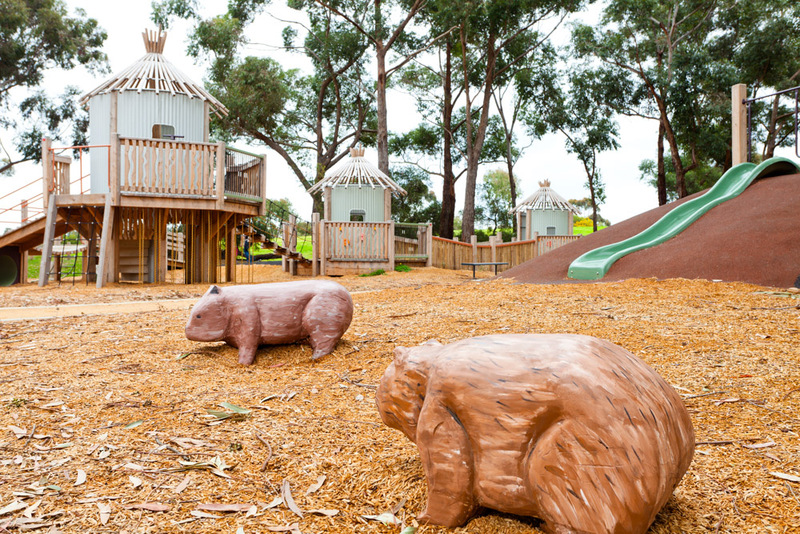 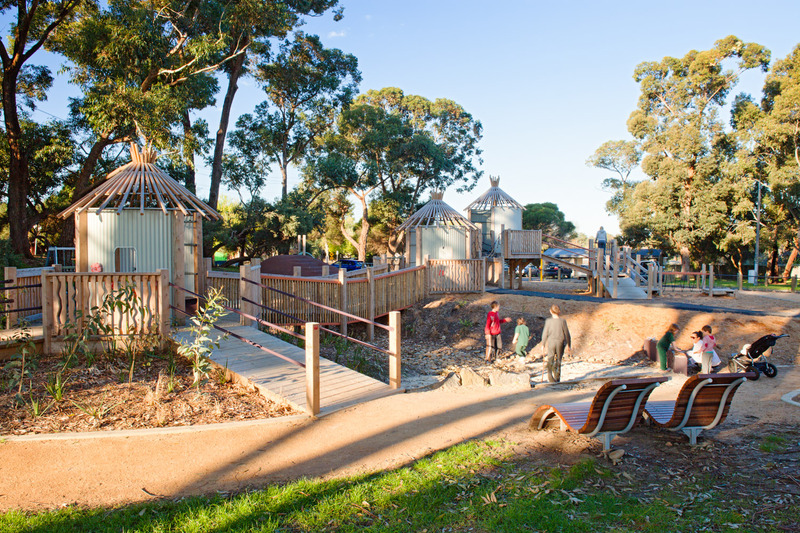 The playground is completed by paths, planting, seating and a shelter, and is watched over by a menagerie of carved wombats and kangaroos.